Are you concerned about the possible presence of asbestos in your Los Angeles County building? Asbestos abatement contractors in California are required by the State to have specialty contracting licenses for performing this type of work. This is because asbestos is a hazardous material, and incorrect handling can result in contamination of property and health risks for residents. Federal and State laws govern the remediation, removal, and disposal of asbestos materials found in buildings. 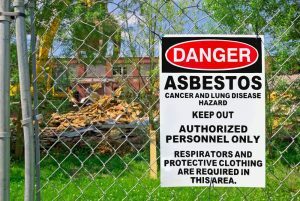 The U.S. Environmental Protection Agency also has regulations governing asbestos abatement in Los Angeles County and other parts of the county. These regulations prohibit the release of emissions such as dust during building renovation or demolition when asbestos is present as a building material. These National Emission Standard for Hazardous Air Pollutants (NESHAP) guidelines pertain to construction work where asbestos is present in any material at a concentration of more than one tenth of one percent, and the asbestos containing material will be affected by the work. While asbestos is currently banned in construction materials in the U.S., it was used for many decades in flooring, insulation, roofing, siding, sheetrock and drywall materials, and other building products. Any time there is remodeling or demolition of a building more than 30 years old, there is a potential for asbestos contamination. Tri Span, Inc. is a licensed General Building Contractor in La Brea, California with the additional necessary State licenses for performing asbestos abatement in Los Angeles County and other counties in Southern California including, Orange, Riverside, and San Bernardino. Tri Span, Inc. also has the trained staff, specialized tools and equipment, and complete knowledge of all laws and regulations concerning asbestos abatement in Los Angeles County needed to get your project done quickly and cost-effectively. Contact Tri Span today for more information about asbestos abatement for your Southern California home, business, or other property.